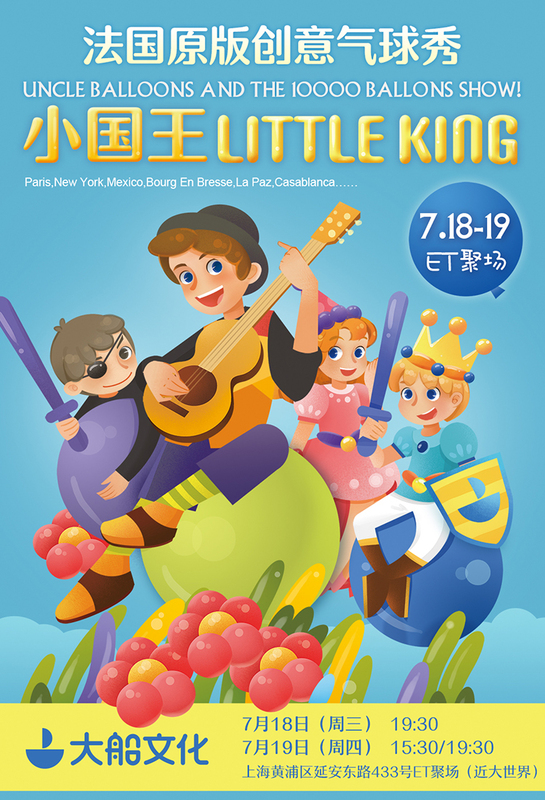 For the first time in China, the musical comedy production "The Little King" is coming to Shanghai! Created by 3 French artists from Ardeche, the show utilizes 10,000 balloons to create a balloon fairytale world before your eyes. Follow the story of the King and Princess, who long ago lived in a castle built of thousands of balloons. Back then, balloons were more valuable than money! But along came a greedy dark knight and an evil wizard, who kidnaps the Princess to force the King to hand over the seeds of the balloon tree. Will the little king succeed in saving the princess? Find out, with song, plenty of audience interaction and even a chance to create your own balloon animal!